With 1970’s Scars of Dracula, Hammer took their vampire count into a new and sadistic world of torture and violence. Our lavishly designed Ultimate Guide magazine immerses you in the blood-soaked nightmare all over again, giving you the chance to relive the fear, tension and rich atmosphere of a gothic masterpiece. 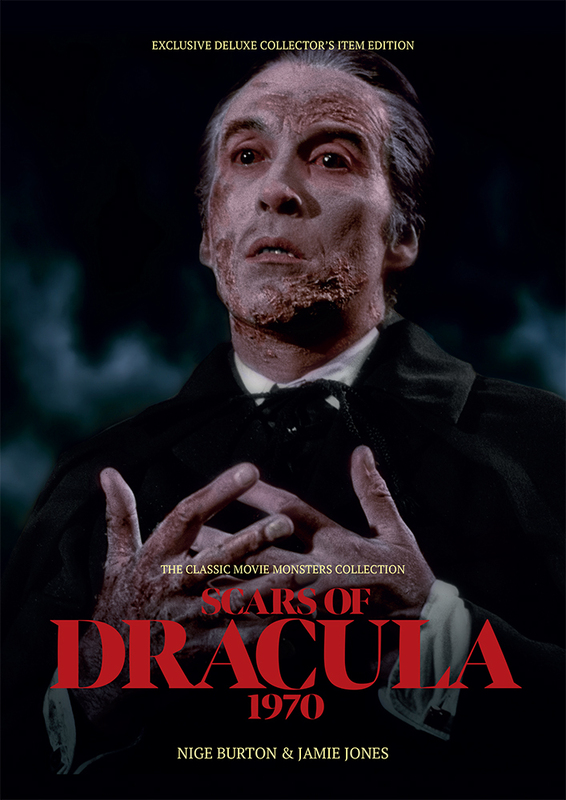 The pages of this full colour guide to Scars of Dracula are filled with articles exploring the many reasons why the movie is such an important part of the Hammer Dracula series. From Christopher Lee’s terrifying performance as the vampire himself, to his co-stars Dennis Waterman and Jenny Hanley and director Roy Ward Baker, the team who realised this eerie motion picture are celebrated with informative biographies, while every page bursts with imagery, artwork and trivia. If you’ve already experienced the Classic Monsters Ultimate Guides to other Hammer Horror movies, you’ll know the kind of quality you can expect from our Scars of Dracula magazine guide. 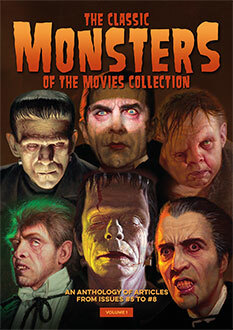 If, however, you’re not familiar with our guides to classic horror movies, then you’re in for a real treat. Lovingly written and compiled, each guide features atmospheric design which captures the spirit of the movie whilst remaining clean and stylish. Our magazine guide to Scars of Dracula has the attention to detail and commitment to high production values that fans expect from Classic Monsters. Dracula’s influence reaches far and wide, and poor Paul has already paid the price for his recklessness, but our luxurious guide to Scars of Dracula means you’ll be well versed in the history of this Hammer classic before Klove realises you’re here. This is a publication no Hammer fan should be without.